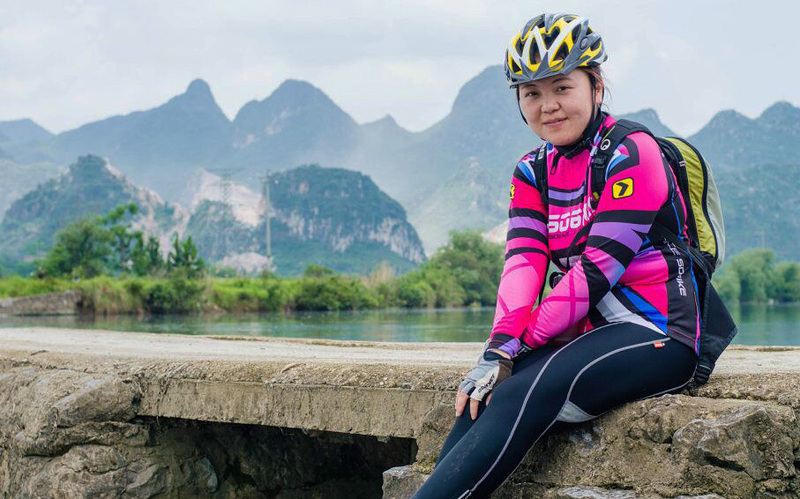 Tour Overview: Riders are always asking about the bike routes from Guilin to Xingping. This tour is suitable for people who want to explore the highlight scenery between Guilin and Xingping, it is flexible with an ending at Xingping ancient town. 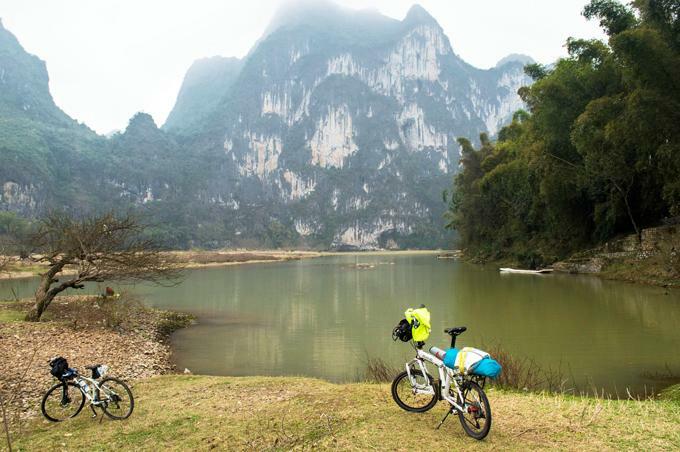 There are two routes cycling on each side of the Li River. Please read the tour itinerary, total cycling distance and price carefully and choose your own one. Grade 2.5 A moderate level of cycling per day with a distance around 50-70KM (31-44 miles) is required. 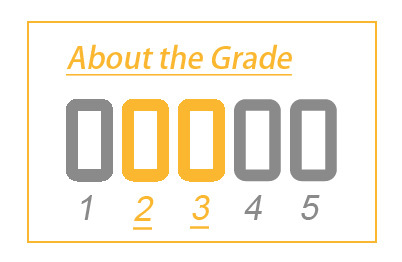 This grade is suitable for people who can bike around 5-7 hours (including photo and rest) on bikes each day and lasts around 4-7 days totally. More physical strength and some basic cycling skills (like using lower gears for longer climbs and control your breath and power well, etc). To fully enjoy this tour, man should really like/very interest in tour on bikes and do not cares too much about some ‘costs’ that normal non-cycling visitors doesn’t want to sacrifice (like getting wet and a little dirty from the rains, getting brown from the sun heats, pains coming from sitting on the saddle while climbing hills with paved roads for a total ascent leas than 10KM per day, etc.). Where the tour starts and ends. Is this bike tour suitable for you? A certain period on the undulating roads calls for experiences on how to save energy while cycling. Finally we arrives Xingping and still have many free time to visit the old town market, the scenery on RMB20yuan currency, etc. 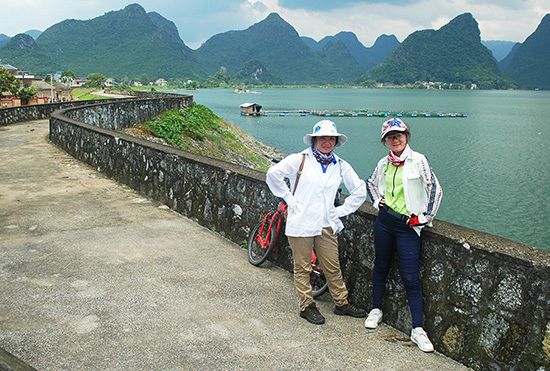 Yangshuo is now crowded with travellers and the price for everything is getting more and more expensive, people who looking for a silent world will consider of arranging their accommodation outside Yangshuo and stay in Xingping. How do we transfer the luggage? 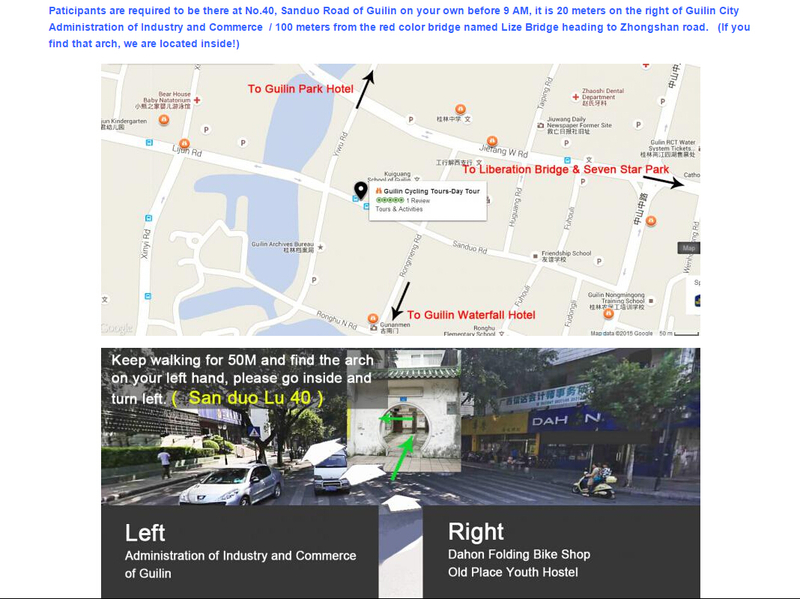 You will leave your big luggage in our workshop (Starting point) in Guilin city in the morning if you not come back to Guilin when finish the tour today. In the afternoon, your luggage will tranfer to your hotel in Xingping after the our tour. 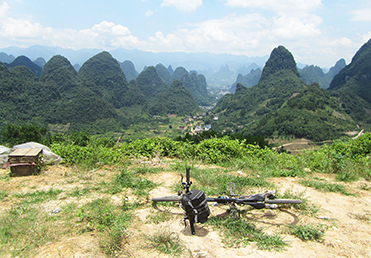 If you do not stay in Xingping, then you can take our supporting van back to Guilin city with our guide and bikes. Tour Departure: Daily. Guarantee departure except under extreme weather. 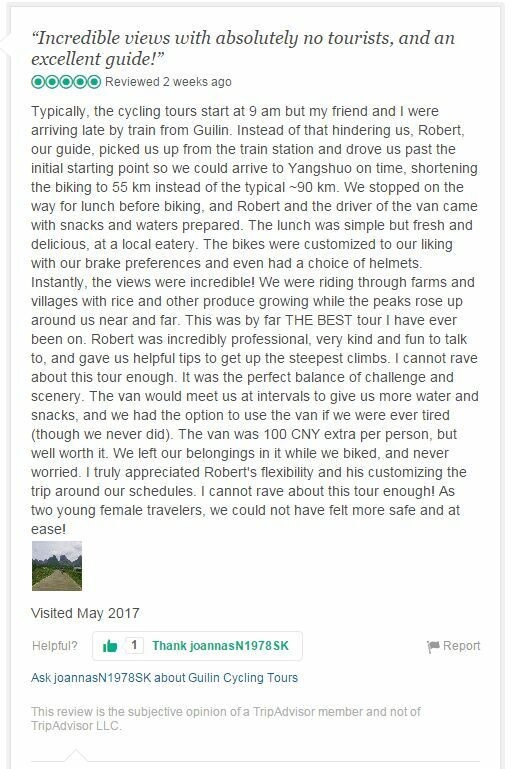 1 CNY1150 p.p, Private van transfer back to Guilin. 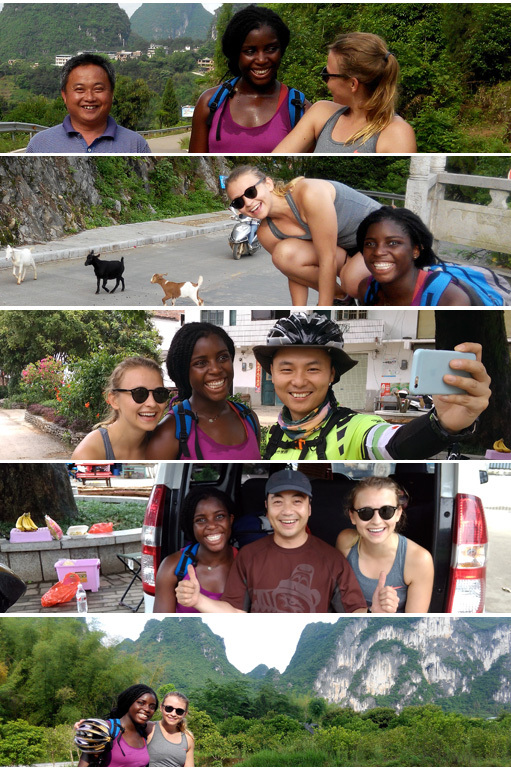 2 - 3 CNY850 p.p, Including luggage transferring from Guilin to Xingping if you stay overnight there or transferring yourselves back to hotel in urban Guilin from Xingping when the cycling ends. 4 + CNY550 p.p, Luggage transferring from Guilin to Xingping, or Private van back to Guilin.